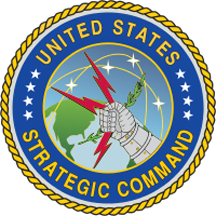 U.S. Strategic Command (USSTRATCOM) has signed an agreement with the Brazilian Ministry of Defense to share Space Situational Awareness (SSA) services and information. Rear Admiral Richard A. Correll, director of plans and policy for USSTRATCOM, signed the agreement as part of a larger effort to build a closer defense partnership with Brazil that will enhance each nation’s awareness within the space domain increasing the safety of their spaceflight operations. Brazil joins 14 nations — the United Kingdom, the Republic of Korea, France, Canada, Italy, Japan, Israel, Spain, Germany, Australia, Belgium, the United Arab Emirates, Norway, and Denmark — two intergovernmental organizations, the European Space Agency and the European Organization for the Exploitation of Meteorological Satellites, and more than 70 commercial satellite owner/operator/launchers already participating in SSA data-sharing agreements with USSTRATCOM. SSA data-sharing agreements enhance multinational space cooperation and streamline the process for USSTRATCOM partners to request specific information gathered by Air Force Space Command’s 18th Space Control Squadron at Vandenberg Air Force Base in California. The information is crucial for launch support, satellite maneuver planning, support for on-orbit anomalies, electromagnetic interference reporting and investigation, satellite decommissioning activities and on-orbit conjunction assessments. Sharing Space Situational Awareness fosters openness, predictability of space operations, and transparency in space activities, enabling all nations to realize the benefits of space. Rear Admiral Richard A. Correl said that cooperation and partnerships such as these are vital for the United States and allies to maintain effective space situational awareness and for everyone to continue to benefit from the critical domain that is space. These agreements build our relationships and provide insights to allow us to be more effective in space. Space Situational Awareness sharing is a foundational capability that affects all future space operations and projects. The U.S. government will continue to partner with space-faring entities to promote the responsible, peaceful, and safe use of space. Lt. General Jefson Borges, Chief of Operations for the Brazilian Air Force General Staff, stated that for Brazil, partnerships in space activities are highly valuable. The signing of the agreement to share Space Situational Awareness services and information will allow us to operate with the support from USSTRATCOM, which represents an important instrument to foster a sustainable use of outer space. Moreover, it is a joint commitment to space operations safety that will further build on the close relationship between both countries,.